Why teach about The Gambia?It is a small, vibrant and colourful West African country and these authentic resources will provide an insight into life, landscape and living in a contrasting country. 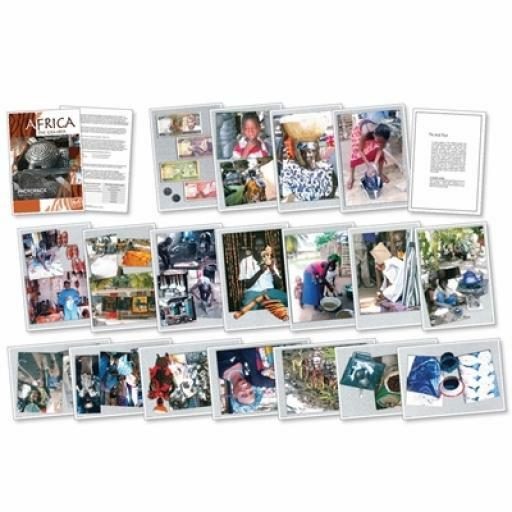 This pack contains a 20 page A4 photopack along with authentic artefacts from the Africa, tie and dye, batik, dress, jewellery, doll, recycled aluminium goods, plastic kettle, toothstick and much more. These artefacts will help children develop a curiosity and fascination about the world and its people that will remain with them for the rest of their lives. They will equip children with knowledge about diverse places and people.It will specifically meet the place knowledge of understanding geographical similarities and differences through studying the human and physical geography of a small area in a non-European country. The artefacts and photopack can be used to foster a wide range of experiential and enquiry approaches to learning across many subjects including, history, English, citizenship, art and music. Create an eye-catching display in any setting. 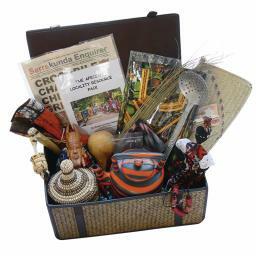 Scene Setting African Market Backdrop also available, see code WG4372.